Just before heading to Antelope Canyon, I found out that I would need a permit if I wanted to shoot commercial imagery within the canyon. And well I do sell some commercial images via various stock agents and a couple small clients, I went back and forth between deciding whether I should get a permit or not. Eventually, I called them and asked what their definition of commercial use was. They told me, any sort of video filming that was done in the canyon would be considered commercial. But in regards to photography, they couldn’t give me a straight answer. Does posting to a blog count, or is that editorial? What about if I was to post it to my instagram feed? The lady on the other end gave me vague answers and told me that in the end it was up to the tour operator. At the operator, which was Ken’s Tours, they didn’t bat an eyelash at me for saying I was just going to be using the images on my blog and social media. Of course that’s not commercial usage. Or is it? In this article, I want to discuss the blurring lines between commercial and editorial photography and why the discussion is valid. Before I jump into the discussion, I thought the manner of getting a commercial photography permit for Antelope Canyon should be mentioned. In general, it’s fairly straight forward. First, you need to apply about 2-3 weeks before your visit to the canyon. You do so by filling out this form and submitting it to the Navajo Nations Park office in Page. You also have to pay a $50 fee. If you decide to file for a commercial photography permit after visiting the canyon, your fee will go up to $200. In my opinion, it’s pretty fair and the process is fairly straight forward. In the past, the difference between commercial and editorial photography was fairly black and white. But these days, with advancements in technology and the rapid movement of information, it’s less obvious. Historically, commercial usage meant that the photo was directly used to sell something. For example, if I took my travel tripod into the canyon and photographed it, then 3 Legged Thing used that photo for their magazine ad campaigns – that’s commercial use. If Southwest Airlines took my images and used them for an ad inciting people to visit Arizona, that’s also commercial use. If I was selling this bag on my shoulders, or it was product placement, this would be deemed commercial. Editorial, on the other hand, is anything news-related. 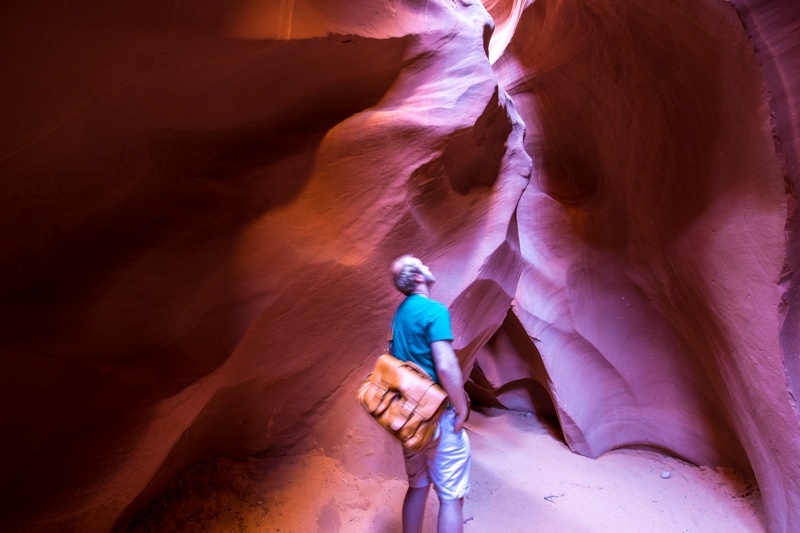 Thus, if the Guardian was writing an article about Antelope Canyon, then the images used along side the article would be editorial, and not require permits or property releases. And, yes, people can say that the images in the newspaper are being used to sell newspapers, but it’s not in a direct manner, which to me is the key distinction. 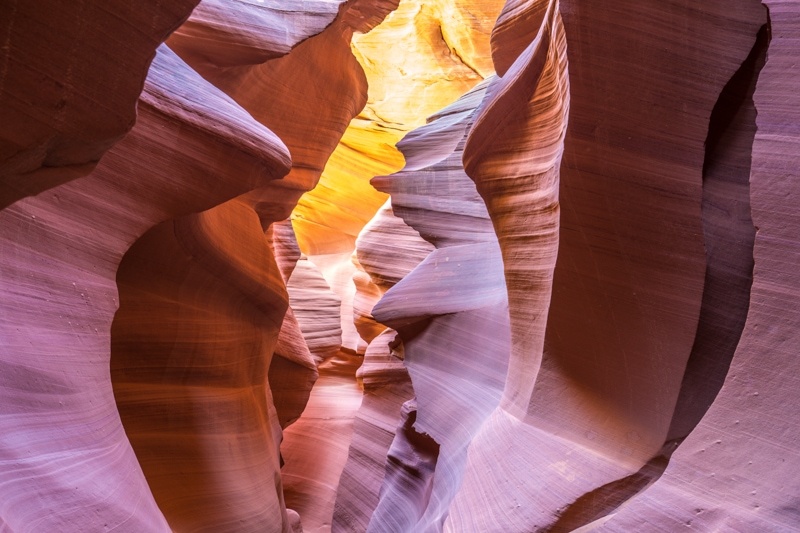 Recently, Peter Lik’s name became fairly household among the photography community with his claim that he sold a print of an image from Antelope Canyon for a whopping 6.5 million dollars. Obviously, with a sale of that magnitude, the image was sold “commercially”, but was a commercial permit required? The photo is, of course, not selling anything except for itself. Light rays in the Canyon. The idea that photography is art is a discussion for another day, but let me ask a question that seems to answer the debate for me. 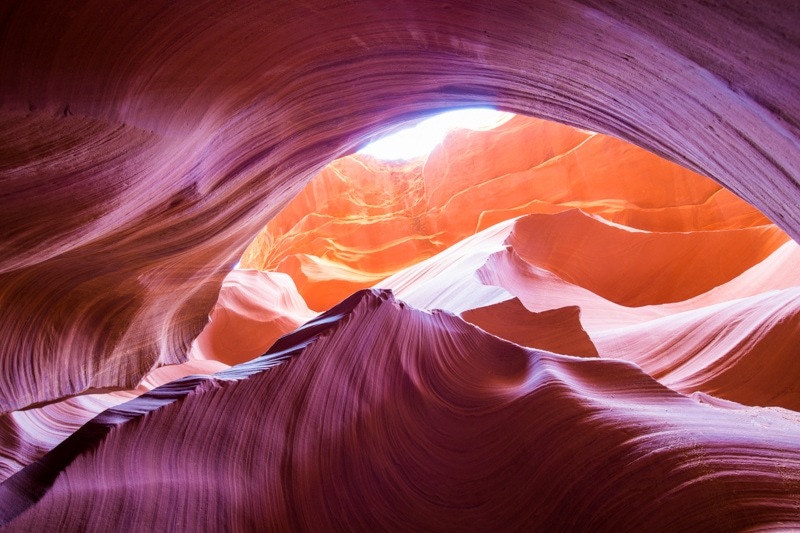 If I were to paint an image of Antelope Canyon and sell the painting, should I need a commercial permit? If not, why is selling a photo any different to a painting? 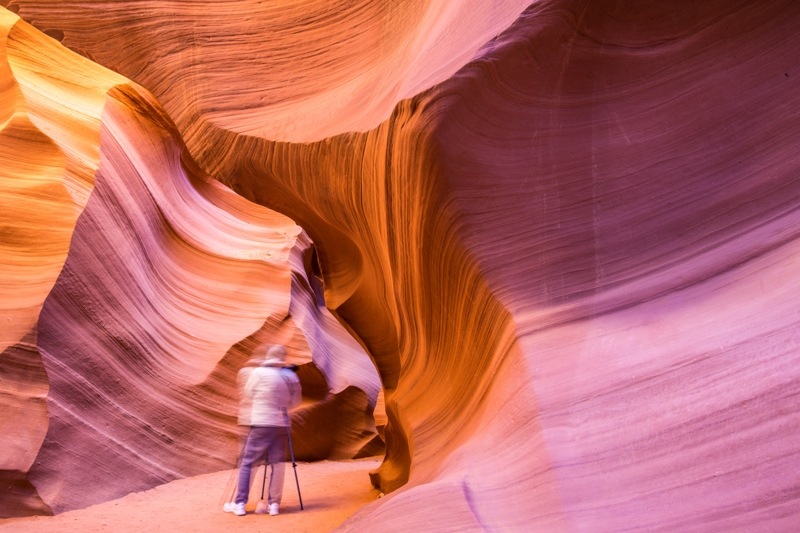 In the end, I don’t know if Peter Lik paid for commercial permit to shoot in Antelope Canyon, I imagine he did. However, even if he didn’t, I would argue the case that he didn’t need one based on the fact that his work was sold as art, rather than selling another product like a phone, tripod, or flight. Social media has complicated a lot of these traditional divisions between personal use, editorial use, and commercial use. Social media networks earn huge amounts of money. Moreover, the influencers on these networks are often also earning a lot of money. So, if you’re a social media influencer and you’re using your imagery of certain locations to lever deals, then in many ways you are working “commercially”. Instagrammers are an interesting case study here. There is a lot of money being invested into the pockets of big names on Instagram. Brands are finding ways to place products into their images somewhat naturally. And, in my opinion, that’s commercial usage. 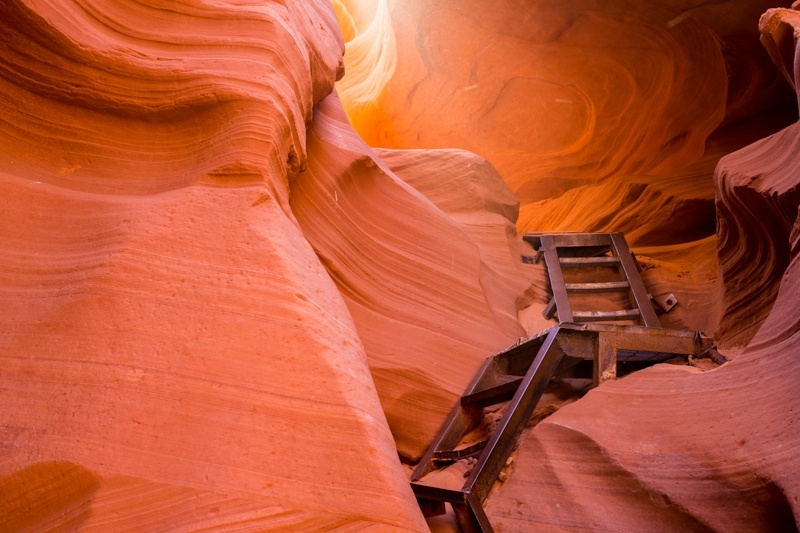 For example, if Nokia were to give me a phone and tell me they’d pay me $200 an image to take photos in Antelope Canyon and then post them to Instagram saying something like “Antelope Canyon: shot with the Nokia 1520“. That’s commercial in every sense. YouTube is another interesting case study. In many ways, most YouTube channels are documentary-style in nature. But with big time YouTube stars so often paid to use certain products, or wear certain clothes, in their videos, they become commercial in nature as well. Moreover, big documentaries are often branded by companies like GoPro and Red Bull. Does that make the video commercial rather than editorial? I’d say so, but it’s very blurred. If there are no products placed or sales going on in a YouTube video, there is still an ad at the start of a video. But, just like a newspaper has ads within the various pages and remains editorial, a YouTube channel can remain editorial. Still, the blurring of the two domains is becoming harder and harder to discern. The situation is becoming less black and white and more grey. This topic is really well discussed by Outside in a recent article called “Why Your Instagram Nature Shot is Breaking the Law“, which talks about how the US National Parks Service has started cracking down on unauthorized usage of photography and filming in the parks. The article is extremely well written and research, and it talks about the various complexities in understanding what constitutes commercial use and what doesn’t. I highly recommend heading over there to read that, if you’re interested in this discussion. I think the big problem is that a lot of the rules and laws regulating commercial photography and film are way out of date. 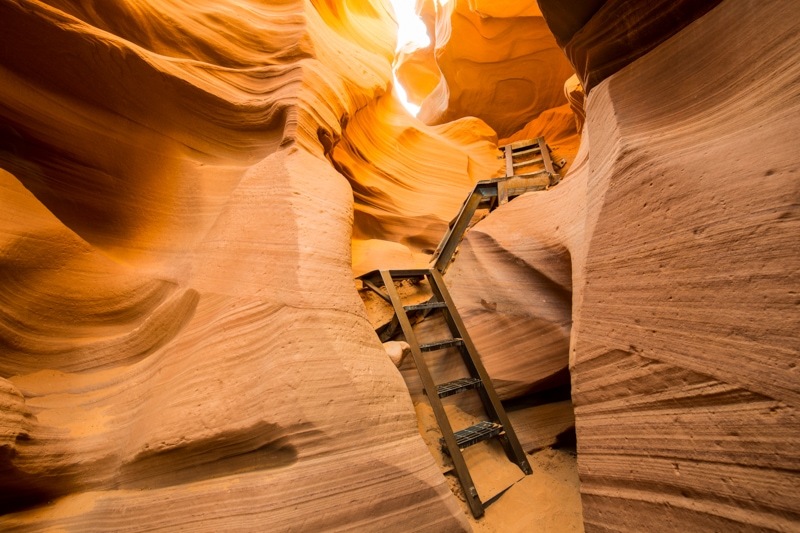 The pace at which the social media and blog world has developed is outstanding, and parks and property like Antelope Canyon are just trying to find ways to protect their lands and their natural settings. But, we would all be served a little bit better by newly developed laws and regulations that took into account the blurring lines between commercial, editorial, and personal usage. Moreover, I can really see why places like Antelope Canyon and the US National Park System are so strict these days. On our road trip, I saw more stupid things being done by visitors to the park than I could count – people climbing on arches, people carving their names into canyon walls, and people walking way off trail. Never in my life have I seen more adults acting like children than in the US parks. People taking stupid selfies doing stupid things has become trendy, so the parks have to curb it one way or another. I wish I had more for you. But, I think that this is a discussion rather than a open and shut case at this point. There are obviously blurred lines in the world of commercial and editorial photography, and a lot of it comes down to a matter of interpretation. Personally, I like that the debate is being discussed right now, and would love to continue it down in the comments thread if you’re interested. I’ve got a cool product to show you in the next couple days called the Radian. I took it out to Horseshoe Bend and did some star time lapse photography that I hope came out kind of cool. From there, I’m off to Vegas! Stay tuned. 1) How do you know about that? 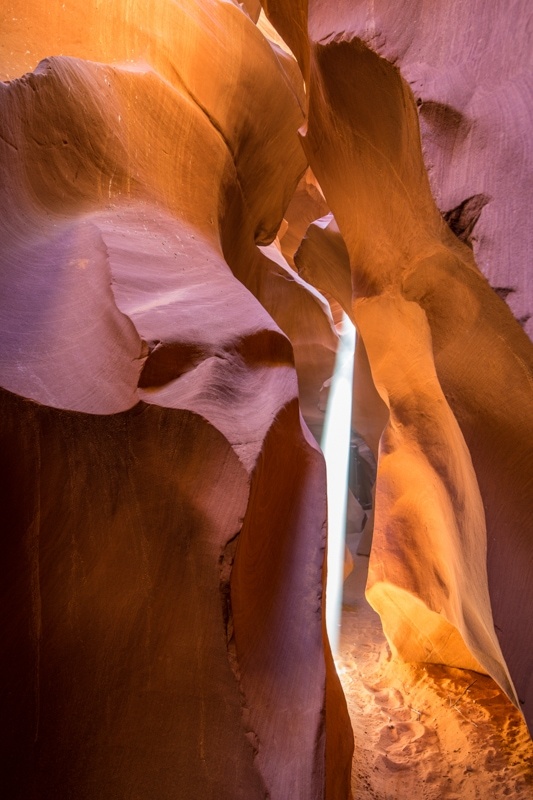 I’ve been to Upper Antelope Canyon without ever hearing about any Photography restrictions. I’ve uploaded some of the shots to a number of Micro Stock Sites and they got accepted without qualms. 2) Is it even legal? 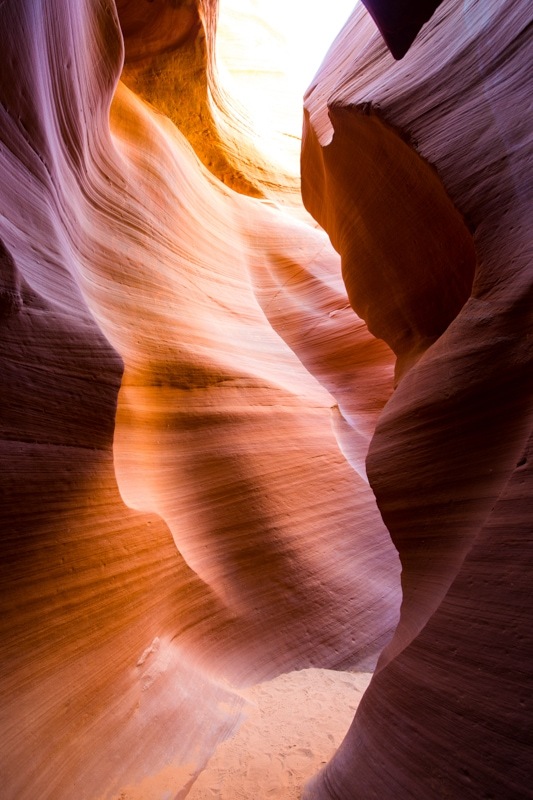 Antelope Canyon has been there long before the first humans arrived in the Americas, before humans even existed. It could only be discovered, not invented. How can you legally restrict photographing a natural landscape? 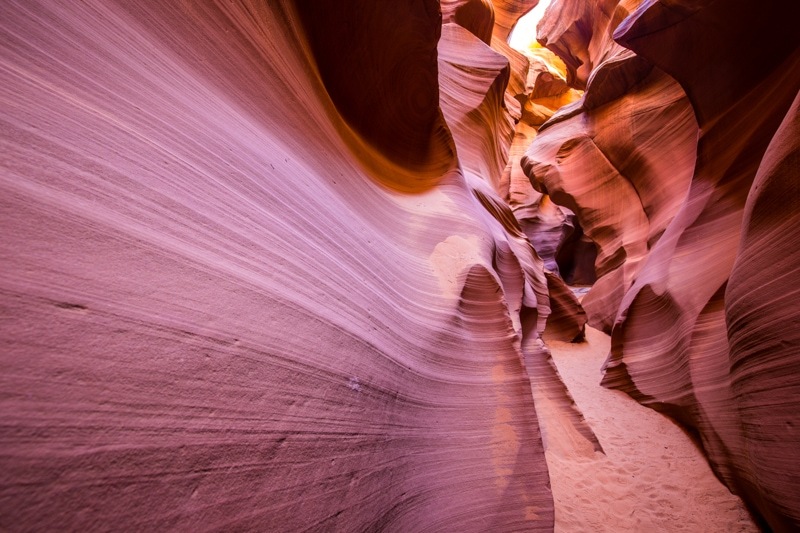 @ Florian, legal rights to Antelope Canyon belong to the Navajo. They can charge a fee for commercial photography if they want. You’d be hard pressed to prove that the canyon existed before humans but that’s a separate issue. It may a new regulation because of Peter Lik’s unbelievable payday… not that his was a commercial image but that his image opened the eyes of a lot of people who had no idea the canyon was there, and I’ll bet many businesses would love to use the canyon as a backdrop now to promote themselves as a result. The Federal Government also owns the National Parks and have the right to charge those same commercial fees. Whether you think they should belong to individual states or the federal government aside, there is a large amount of money invested in the parks, both state and federal, with employees, upkeep, repair crews, etc. Why should Hollywood for example, or Nokia as Brendan used as an example, benefit financially more than the Navajo? I believe they have ever legal and moral right to charge a fee for commercial licenses. I have to admit I’ve never heard of the permit. I was there in Nov 2013 and made a reservation for last month (that I had to cancel, in the interest of transparency) and neither time do I remember seeing anything in print either via email confirmation or on the tour company’s website about the need to acquire a commercial license for that purpose. And I took the photographer’s tour the first time and signed up for it the second. This tour is only for avid photographer, if you plan on bringing only a small point-and-shoot or something as simple as a camera phone please reconsider our Tour #1 – we would like the majority to be actual photographers on tour. We would like to know of your group how many will be actual photographers, those with tripods, SLR cameras (or a very nice bridge camera) and how many are assistants joining the tour too. Children get bored on this tour, if you are with family members you may want to consider having only the photographer join the photo tour. Pictures taken on tour shall only be for personal use, if you are planning on commercializing from your images you will have to obtain the proper permits from the Navajo Parks office before visiting – Inquire if this is your plan. I also think it’s fair that they will charge you later if you end up selling an image for commercial use. At least they don’t just sue and take you to court and ban you from using it. I have less problems with this on Navajo lands because these people are needy and hopefully the money will go to give Navajo more jobs and for upkeep of these amazing lands. You’re right, the age is not known for sure, but the Navajo Sandstone has been around for at least 170 Million years and sandstone erodes comparatively quickly. Modern humans have been around for 120,000 years, give or take. That’s 3 orders of magnitude! Doesn’t leave much room for interpredation, does it? First human settlements in the Americas aren’t much older than 15,000 years, another order of magnitude. You’re right it doesn’t matter. But it’s fun to think about how ancient these canyons really are. My point was, you shouldn’t be able to copyright nature.